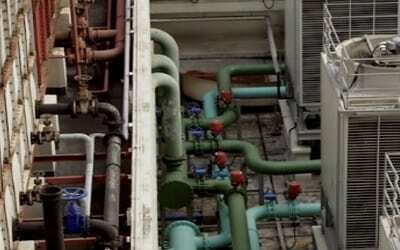 Piping for mechanical systems (i.e. condenser water, chiller, steam and condensate, hydronic, tri-water, etc.) is a critical component of facility operations, yet accurately assessing internal condition is nearly impossible without system shutdown and costly disassembly, often requiring high-risk hot work like cutting and welding. SoniTech’s Ultrasonic Localized Guided Wave (ULGW) nondestructive evaluation service can map the location and severity of all common internal pipe wall integrity issues, typically while the system stays fully operational. 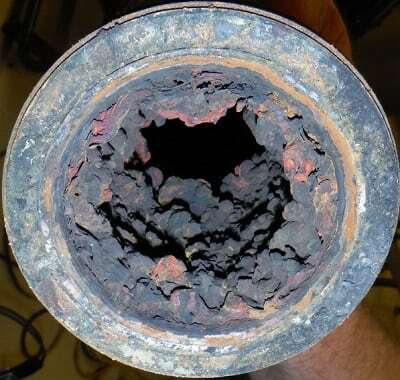 Integrity issues such as scale build up on pipe walls could have a significant impact on system efficiency causing low flow conditions and/or requiring higher pump output to meet demands, pits lead to pinhole leaks that can damage equipment or inventory, and wall loss through velocity erosion or severe pitting can result in very costly catastrophic failure. 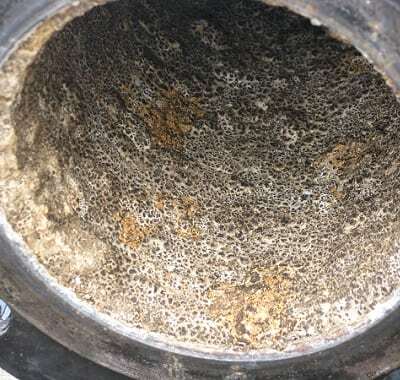 The large temperature swings found in hydronic piping and the life safety component of tri-water systems make these prime candidates for corrosive activity, furthering the value of ULGW noninvasive internal pipe inspections.